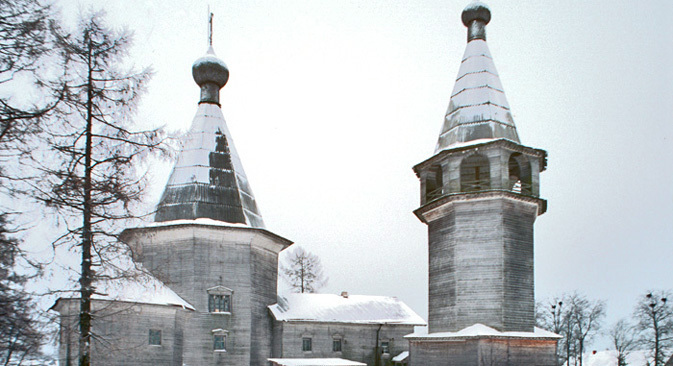 The Church of the Epiphany at the village of Oshevensk. How to get there: Take a train from Moscow or St. Petersburg to Nyandoma (Yaroslavsky railway station; departure: 03:35 a.m., 10:05 a.m., 4:35 p.m., 7:50 p.m., travel time 12-14 hours), than take a bus from Nyandoma to Kargopol (departure: 5:55 p.m. every Saturday and Sunday, travel time 1.5 hour). Than take a local bus from Kargopol to Oshevensk. Or you can hire a car from Nyandoma to Oshevensk.